Social innovation has many definitions, but at its core it supports people and organizations to co-create, learn, adapt and scale more effective solutions to entrenched social problems—making our human and natural systems more adaptive and resilient. Our starting assumption is that many of the social and economic institutions we have inherited are not well adapted to current conditions and values. Over time, they have become rigid and less effective in delivering social good. We support social innovation initiatives and collaborations that help transform the broader economic, cultural and policy contexts that hold problems in place. Addressing social problems is not the role of any one group or sector alone. Social innovation processes are designed to engage the creativity of all sectors, bringing many perspectives and different resources to bear on a problem. Social innovations often occur at the edges of systems, or where two or more “siloed” disciplines or sectors meet. For example, the fields of social entrepreneurship and social finance integrate economic, social and environmental outcomes. Innovation also occurs when a solution from one domain is transferred to another—the way Canada’s Registered Retired Savings Plans were adapted to create the Registered Disability Savings Plans, which have helped thousands of families with a member who has a disability save for the long-term. Social Innovation is about bringing new perspectives and approaches to bear on a social challenge. We are particularly interested in innovations that engage vulnerable and excluded people and that encourage and benefit from Canada’s incredible cultural and regional diversity. McConnell has been advancing social innovation approaches in Canada for almost two decades, seeking to build a culture of continuous social innovation through our SiG partnership. SiG works to grow a “living laboratory” of experiments that have the potential to improve the well-being of Canadians and get to the root of complex social problems. We have led the way in social finance in Canada through our work on Solutions Finance, inspiring foundations and investors to mobilize their assets to address problems in new ways. We also invest in social innovation labs and social R&D, as a way to build innovative capacity, new knowledge, and creative solutions across sectors. A key question on the minds of many social change practitioners and funders is how do we scale up our impact? Many feel overwhelmed by the fact that they have invested resources for decades into numerous local projects, which may have great results, but fail to collectively change the overall state of the system. 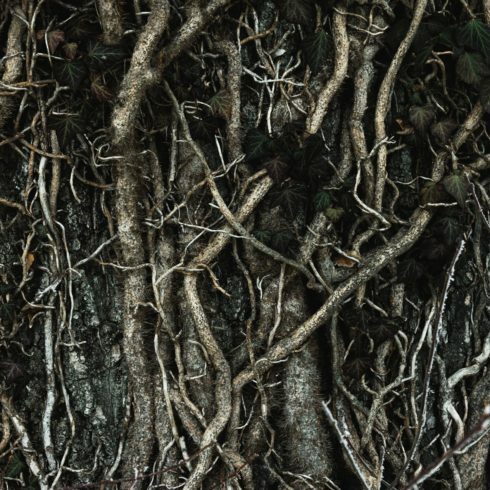 Scaling Out, Scaling Up, Scaling Deep, by Darcy Riddell and Michele-Lee Moore, addresses how to solve this problem. The findings in this study reveal specific strategies for achieving scale, depending on whether the target is spreading an innovation, changing laws in the wider system, or shifting the cultural context within which a problem exists in the first place. 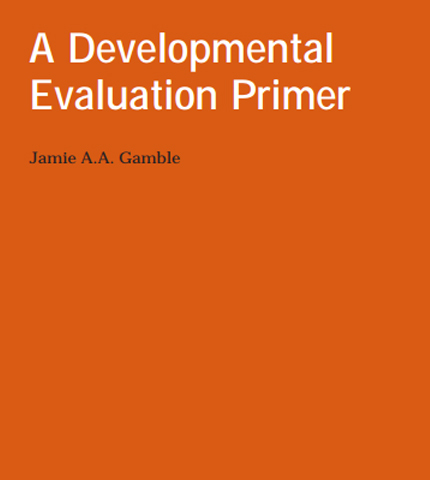 Introduces the concept of developmental evaluation to potential users and provides some tools to support its use. 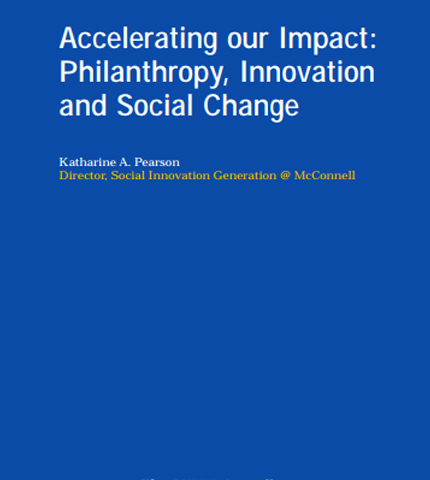 Contributes to an emerging body of knowledge and reflective practice on the role of funders in supporting innovation and social change.